NNPC/TOTAL hereby invites applications from suitably qualified candidates for its 2013/2014 National Merit Scholarship Awards. 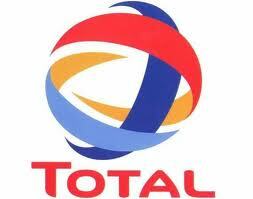 Who Is Qualified To Apply for NNPC/Total Scholarship? Registered FULL TIME undergraduates in recognized Nigerian Universities. All applications for the 2013/2014 NNPC/Total National Merit Undergraduate Scholarship must be submitted not later than 30th March, 2014. Note: when the page opens, click on Apply to get started with the application process. Click here to view the list of 2012/2013 Total National Merit Scholarship Winners. They asked for upload of cgpa doc from dept...our result is nt out yet...what can we do? Please, how do i get a user name and password to apply,thanks. I tried applying as a direct entry student, but I couldn't go past step 8 because I don't have a jamb score as well as cgpa yet to use. Is there any solution to this problem? Pls our results has not been released due to the just called off asuu strike. What can i do because i'm at level 8 of the application process. Pls our second semester result is not out due to the Asuu strike which has prevented the school from giving us our cgpa. Pls reply on time bcos the scholarship closes tommorrow. thanks. pls im already under the scholarship scheme.can i send my result via e mail or must it be delivery? You are advised to send it by secured mail service. please if I enter for the scholarship program, are my results required after my first year in school for me to get another award? Yes, you will need to always send your results to Total every session to renew your scholarship. Please I'd like to inquire the duration of payment from one session to another. Which address should I send my result to?